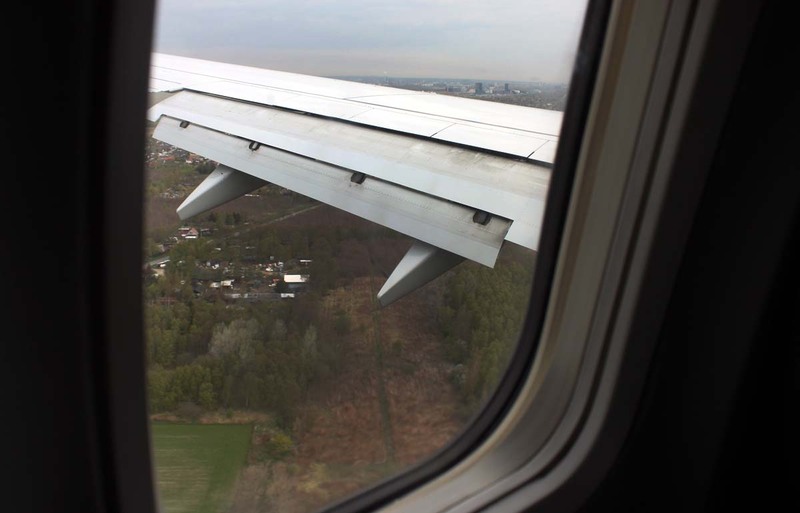 Landing at CPH, Copenhagen (2010). Flying from NAN, Nadi, Fiji to TPU, Fua'amotu, Tongatapu, Tonga (2004). 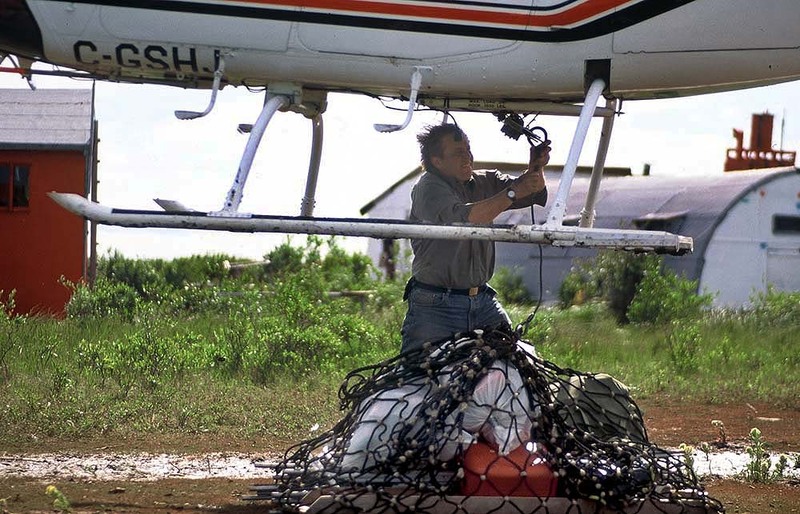 Tail slinging a helo in field camp, Northern Manitoba (1995). 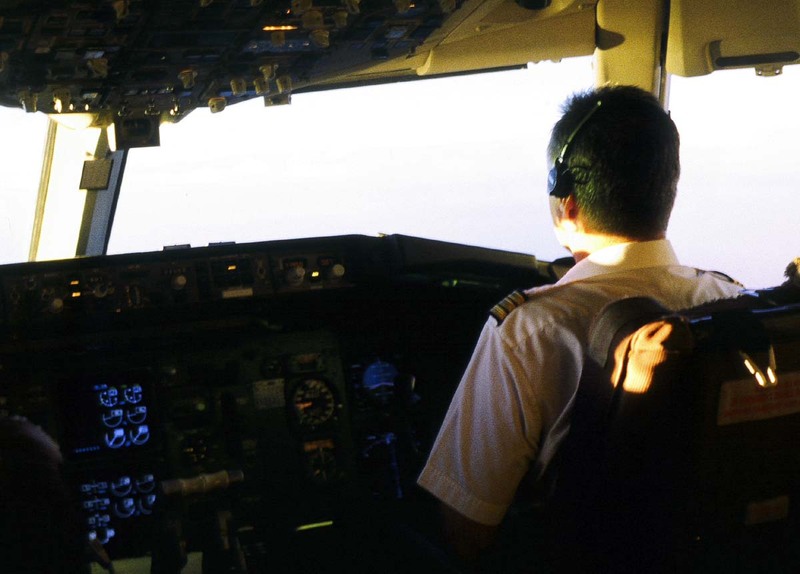 Sunset flight: BGI, Grantley Adams, Barbados to YYZ, Lester B. Pearson, Toronto (1999). 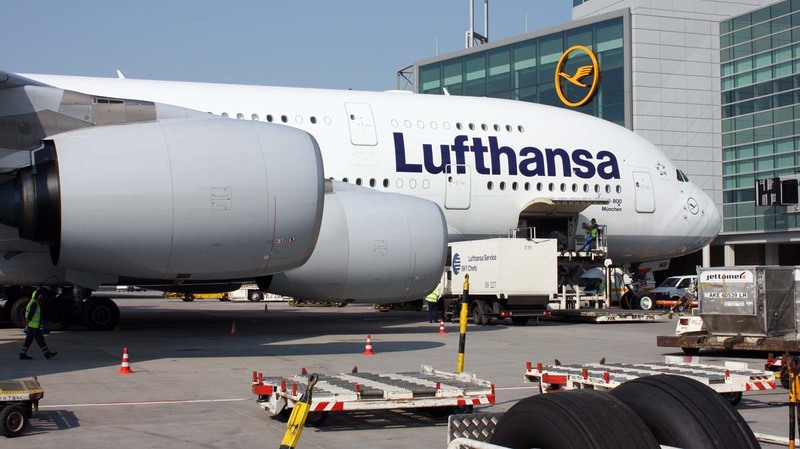 A380 with spare tires, some assembly required, at FRA, Frankfurt (2011). 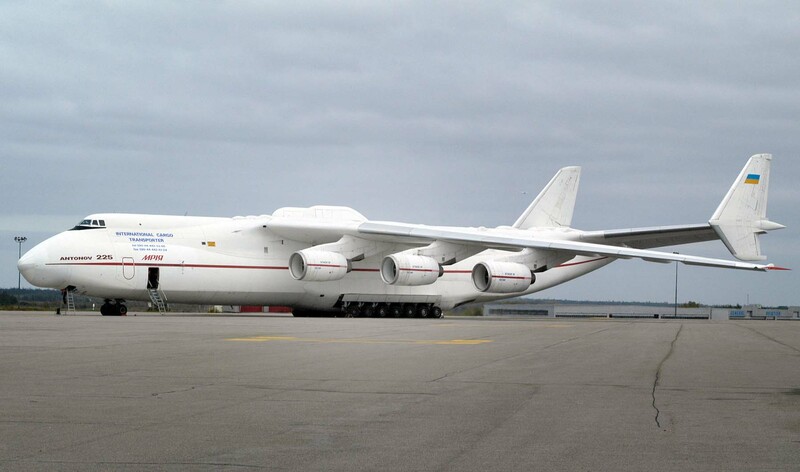 Antonov 225, the largest plane in the world at the time at YQX, Gander, Newfoundland (2005). 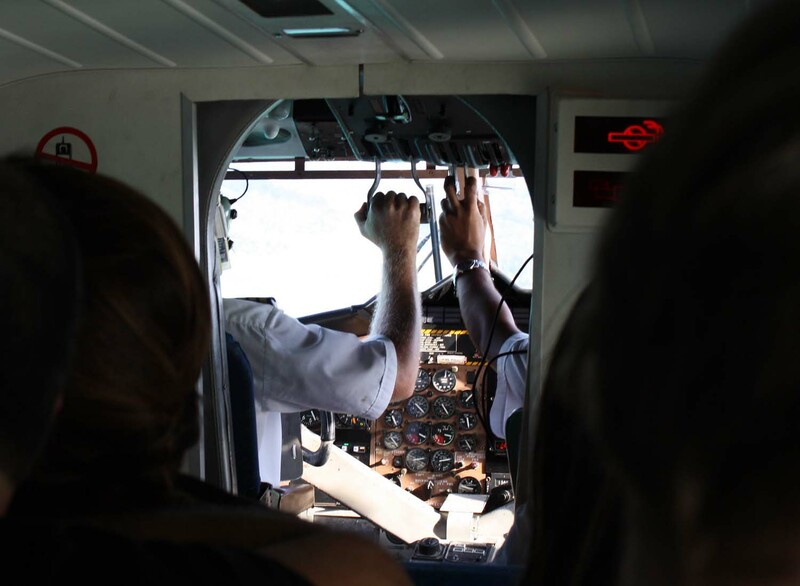 Flying in a Twin Otter from SEZ, MahÃ© to PRI, Praslin Island in Seychelles (2013). 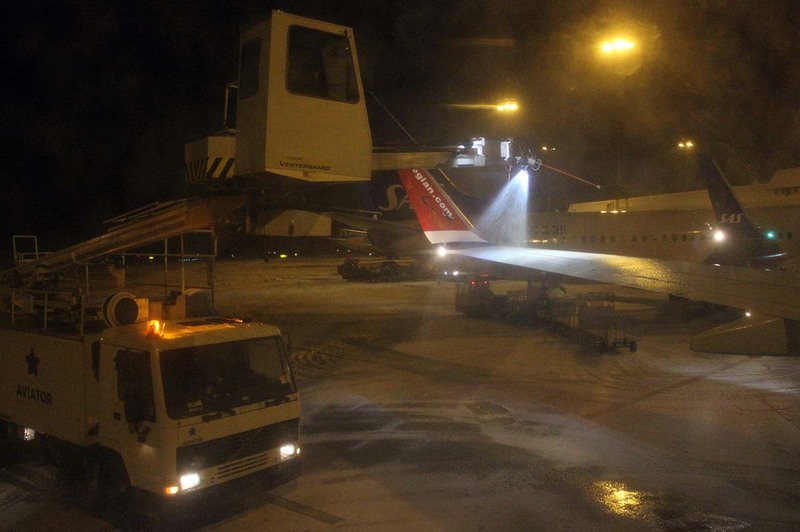 Deicing at OSL, Oslo (2010) in the first photo and at ARN, Arlanda (2015) in the second photo. 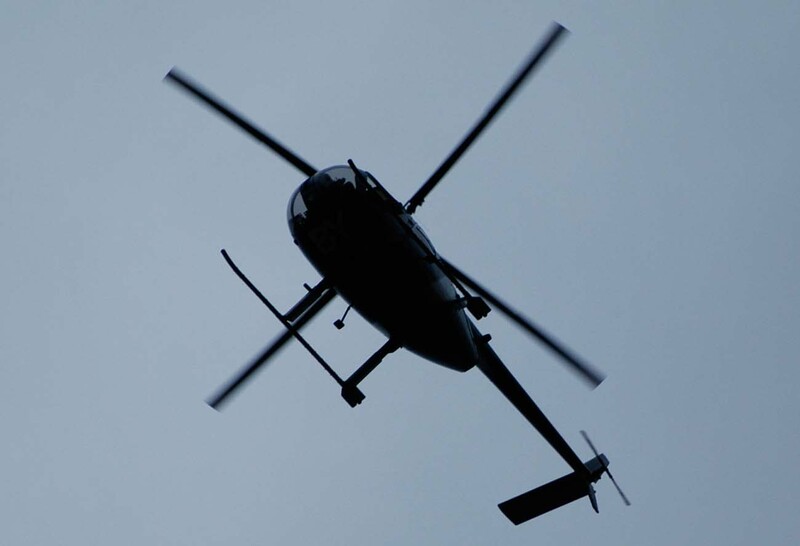 Helicopter in Wellington's skies (2005). 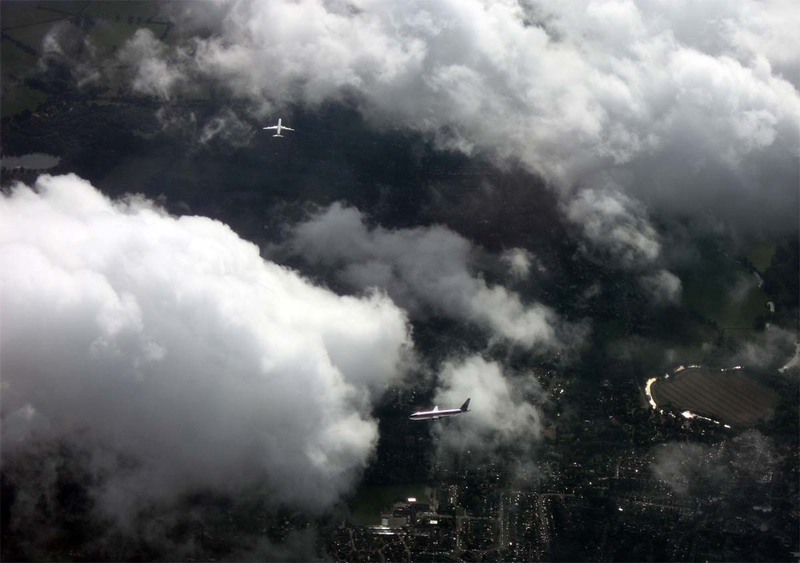 Plane watching while circling before landing at LHR, Heathrow (2011). 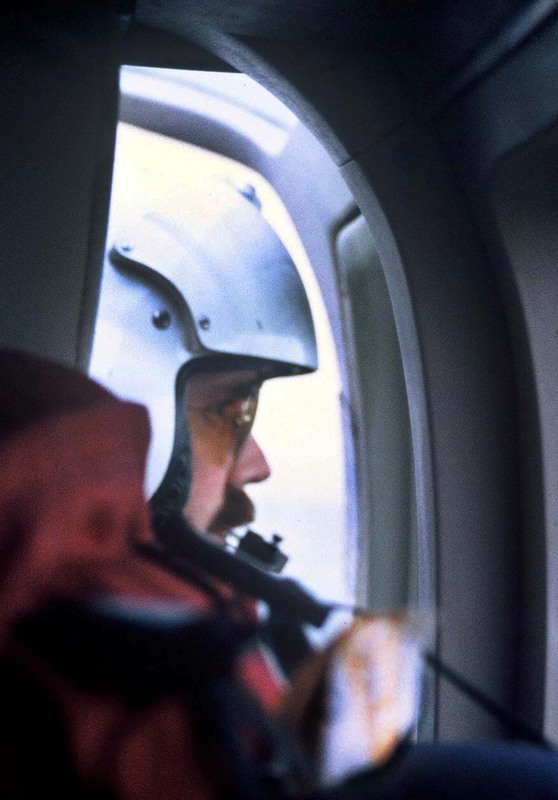 Helicopter pilot over northern Ontario (1995). "Off with its head!" 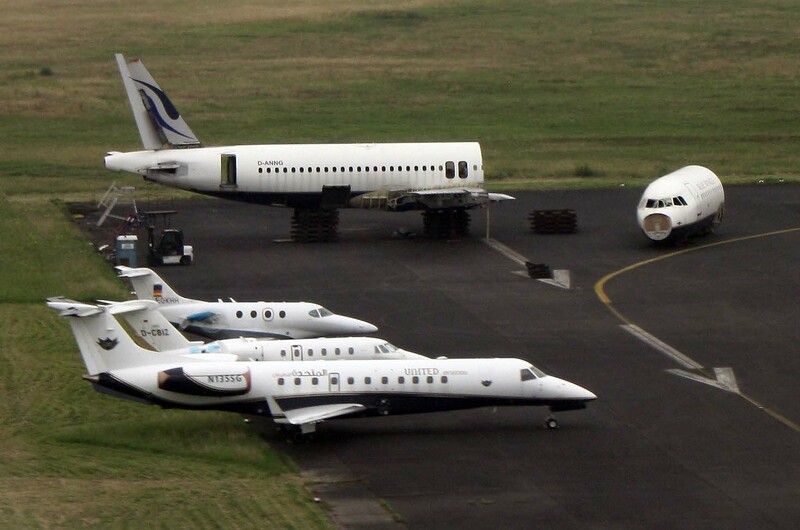 at DUS, Dusseldorf, Germany (2011). On 3 September 2004, I was on board Flight IB958 from Madrid (MAD2) to Tenerife Norte (TFN), heading to the island for some field work. 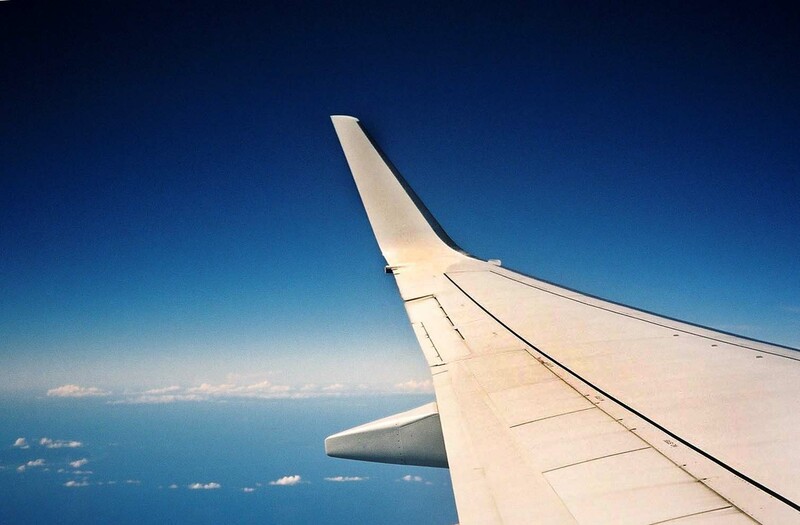 Approximately 20 minutes into the flight, a burning smell pervaded the cabin and some people near us vacated their seats rapidly and worriedly. 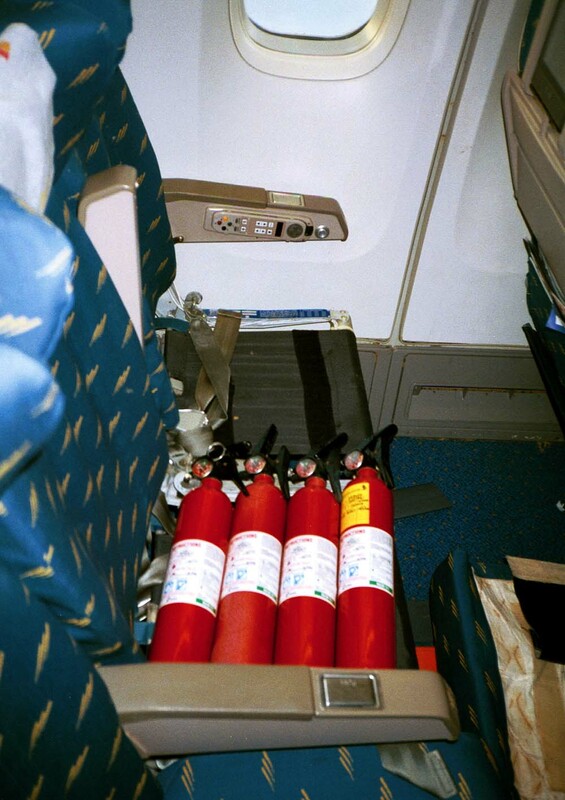 The crew on board scuttled around, not doing much but eventually bringing over fire extinguishers although I neither saw nor heard any being used. 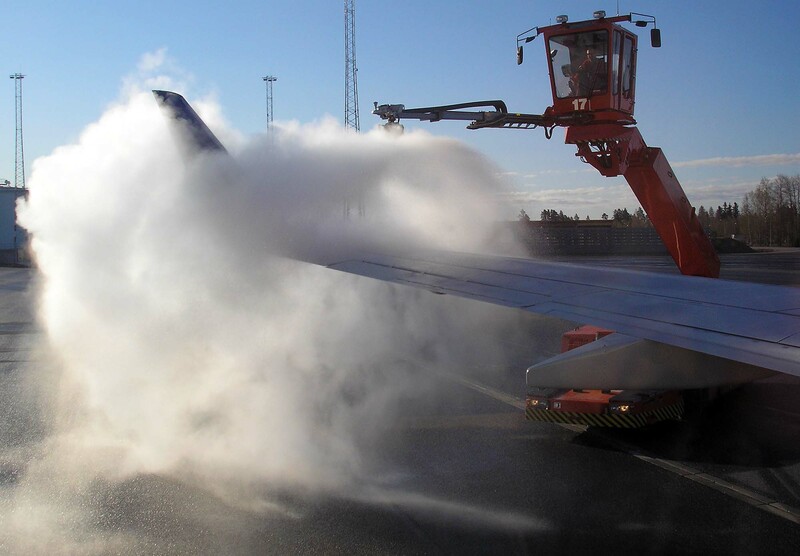 The airplane continued ascending, but soon after, we turned around and started descending to return to Madrid where we landed and taxied, escorted by fire engines. 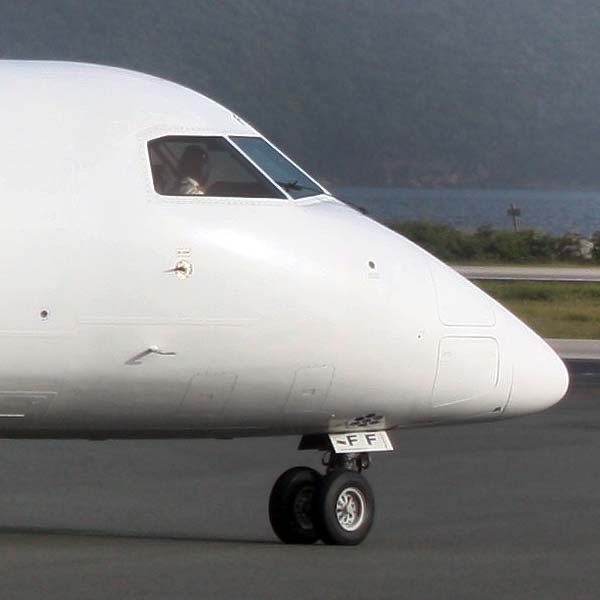 I have several times emailed, faxed, and written to Iberia to request "further details regarding...the specific nature of the incident, why the problem arose, and what measures are being undertaken to prevent recurrence". They have ignored this request. 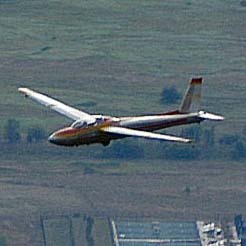 The photos below were taken after landing. 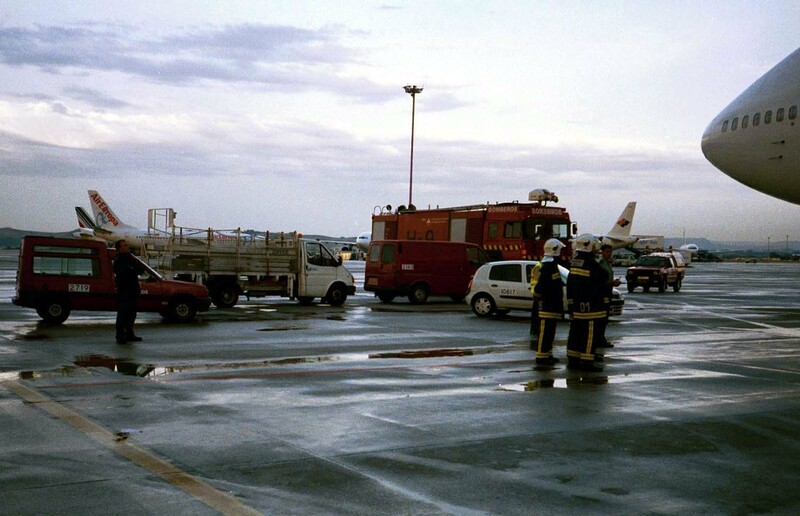 On 19 November 2004, an Iberia airplane made a much more exciting emergency landing in Lisbon because of an apparently similar problem to that which my flight experienced. See BBC's report. 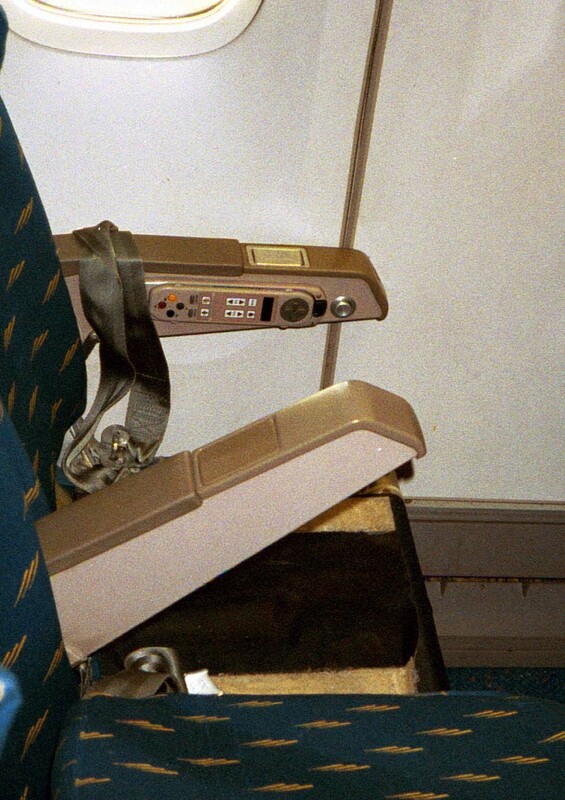 Seat damage or just missing a cushion? Firefighters pretend to examine the damage. 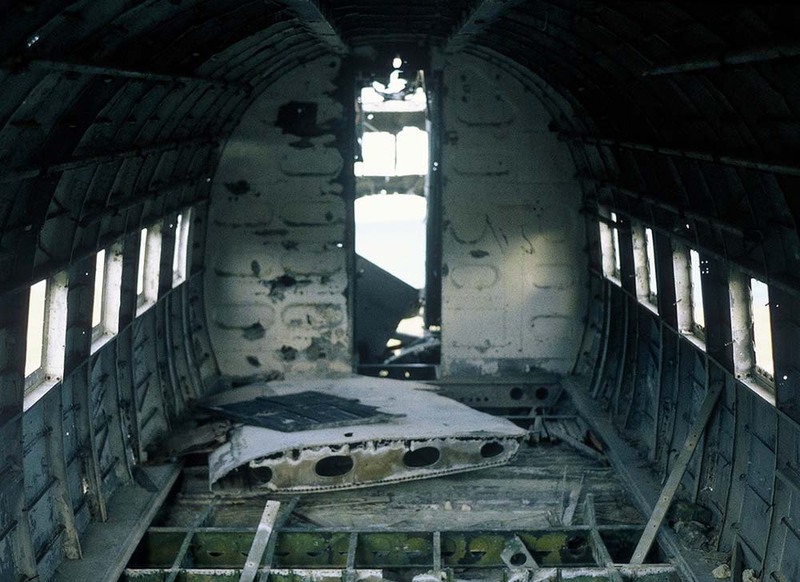 Actually, firefighters used this wreck near BGI, Grantley Adams, Barbados for training for air crashes. Or so I was told (Barbados, 1999).